Lucknow, July 9: The All India Muslim Personal Law Board (AIMPLB) has planned to set up Sharia Courts i.e. Darul-Qaza in all the districts of the country. With this move the AIMPLB wants to spread awareness about Sharia law among the lawyers, judges and the common man by activating its Tafheem-e-Shariyat (TeS). 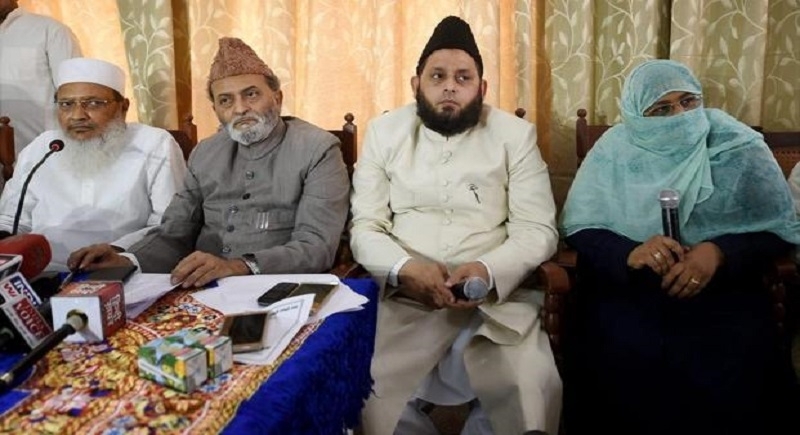 The Muslim Rashtriya Manch (MRM) the biggest social reform movement of the Muslims has however, questioned the motive behind this move of the Board. The proposal to set up Sharia courts all over the country will be discussed by the AIMPLB at its meeting in Delhi scheduled to be held on July 15. The courts are being set up to resolve the issues in tune with the Islamic laws. “At present there are 40 such courts in Uttar Pradesh. We plan to open one such court in every districts of the country. The objective of Darul-Qaza is to resolve matters in light of Shariat laws instead of going to other courts,” PTI quoted senior member AIMPLB, Zafaryab Jilani as saying. Noting that around Rs. 50,000 is spent on running a Darul-Qaza (Sharia court), he said, “They will be discussing ways to generate resources for this during a meeting of AIMPLB in Delhi on July 15”. With an aim to make lawyers, judges and the common man aware about Sharia law, the All India Muslim Personal Law Board will also be activating its Tafheem-e-Shariyat (TeS) committee. “We will be activating Tafheem-e-Shariyat committee to make lawyers, judges and common man aware about Shariat laws. We will be discussing this at the All India Muslim Personal Law Board meet,” Jilani said. He said the Tafheem-e-Shariyat committee has been around for 15 years, and is entrusted with the task of making lawyers and judges, if possible, aware of arguments related to Sharia law. “The committee was used to organise conferences and workshops all over the country, with Islamic experts trying to delve in details about Shariat laws and address queries of participants. It is now felt that the committee should be activated and more such programs should be held,” he said. The issues taken up by the committee in various programs, included “Triple Talaq and Virasat” (divorce and inheritance) besides others. Asked about the other matters that will figure in the meeting, he said progress of the Babri Masjid (mosque) case will be discussed, and future course of action will be decided. “The Muslim faction does not want delay in the Supreme Court’s decision on the matter as reported in the media,” he said. The All India Muslim Personal Law Board meeting comes against the backdrop of statements by some leaders favouring construction of the Ram Temple in Ayodhya. “Statements are being made on the Ayodhya issue. Some are saying that the decision will come in a particular month and it will be in favour of a particular side. Such statements are an attempt to belittle the highest court of the country. This should be taken into consideration. It will be discussed in the meeting,” a Muslim Law Board member said. He confirmed that the Muslim Law Board has already said it would accept any decision made by the Supreme Court on the issue. 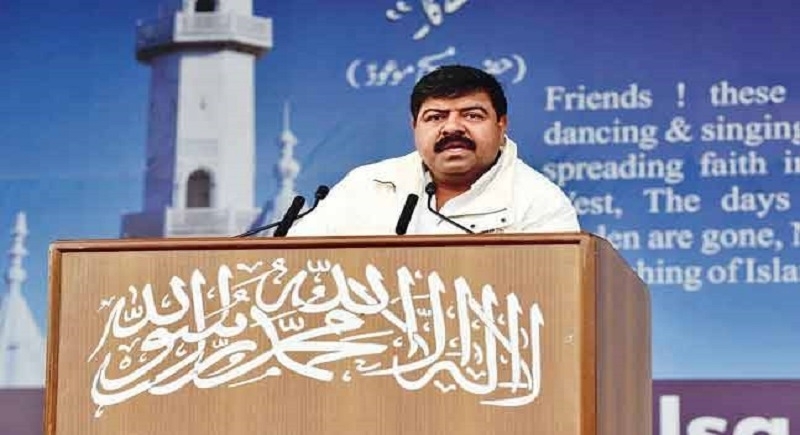 MRM questions motive: Questioning the very motive of setting such Sharia Courts across the country Muslim Rashtriya Manch (MRM) National Convener Mohd Afzal said that when the country is being governed by its own law where was the need for separate Sharia Courts? In a telephonic conversation with newsbharati.com Afzal said that this move was intended to mislead the Muslims who abide by the law of land. He wondered how the different sects within Islam would look at this new Sharia Court of AIMPLB. “There are 72 sects in Islam. How each sect will view at such courts and whether it will be accepted by them is the important issue”, he said. He alleged that this move was planned by the Board to cover up their failure in resolving the issues of the Muslim community. India has its own law and Muslim citizens are governed by that law. Then where is the need for this separate law, he asked and said that this was planned to cover up the failure of the AIMPLB. “Such courts will have no legal standing”, Afzal said adding that this is rebellion (khilafat) against the country’s existing law.